WELCOME TO DARNALL FORUM'S COMMUNITY BLOG, with news and information about Darnall and the Forum. You can also follow us on Facebook and Twitter @darnallForum or subscribe to our RSS news feed by entering your email address in the window at the foot of this page. Come and celebrate another year of Darnall Forum's work at our Annual General meeting in our offices on Wednesday 3 October at 5pm. It's twenty years this October since the Forum first began work in Darnall, so we shall be announcing an exciting opportunity to celebrate all the good community work that has been done by local residents and community workers during that time. The meeting is also an opportunity to hear more about our work and the campaigns we have been involved in, look at our annual accounts and elect our trustees. It is open to anyone who lives or works in Darnall. 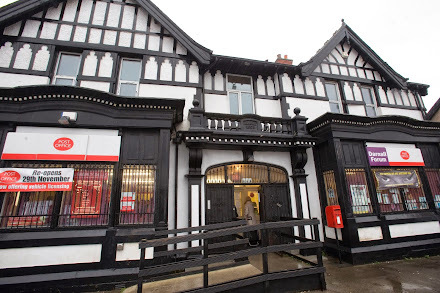 Who Owns Darnall Post Office? 2) To post a comment, click on the link beneath the post or previous comment to which you want to respond and write your message in the box. 3) Complete the word recognition box, which is designed to stop spam. 4) Then, if you have one, you can enter your Google username and password. 5) Alternatively, you can click 'other' and enter your real name, or a nickname which you would like us to display, or you can click 'anonymous'. 6) Then click 'Publish'. Your message will be sent to us for checking. 7) We will know who you are but, if you have used a nickname or chosen to be anonymous, no one else will know. 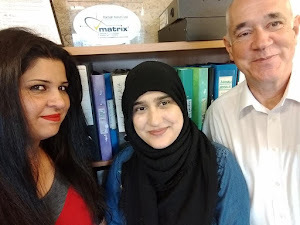 Nazia, Neil and Zahira are the friendly voices on the end of the phone line when you call us and the people who deal with your visits, letters and emails. They work closely with community groups and individuals who want to make a difference to Darnall. Nazia gives help and advice to people looking for work or training and is our adult community learning champion. Zahira runs various community development programmes. We also have a team of adult community learning tutors who work closely with us. They help us run courses in IT, ESOL, employment skills, driving theory and other subjects. If you want help with something which isn't listed here, and you live in Attercliffe, Darnall or Acres Hill, why not give us a ring anyway and we'll try to signpost you to the right place. To work in partnership with other agencies and organisations to improve local services and help regenerate Darnall. The Forum has four part-time staff who with local people to implement a Community Action Plan that was drawn-up after extensive consultation with all sections of the local community. The members of the Forum Board are drawn from the different faith and ethnic groups represented in the area and are elected by the members of the Forum at its AGM. Darnall Forum is currently funded by Sheffield City Council, the European Social Fund and a small number of charitable trusts. Darnall Forum also trades under the names D F Enterprise and Darnall Forum Trading, which reopened the community post office in 2010 and ran it for nearly eight years. Here are the logos of some of the agencies which fund us. To create a forum where people can meet to raise issues of local concern, where the agenda is set by local people and where leadership and direction remain with local people. To work together as women, men, young people, elders, black, white, disabled or able-bodies, of different faiths or none, recognising, respecting and valuing our differences. To form links with key agencies and local enterprises in order to work in partnership with them, discuss their role in the area and – where necessary – challenge them. To gather resources to support and deliver initiatives begun and supported by local people. To ensure that there is a clear and agreed process by which the Forum makes and acts upon its decisions, and to ensure that the Forum Board is accountable to the membership. What sort of organisation are we? Darnall Forum is a voluntary sector organisation. It is a company limited by guarantee, (No. 03644311), and a registered charity (No. 1121396). The Forum Board is made up of eight elected members of the Forum. The Forum's charitable aims are urban regeneration and community development and community development. Darnall Forum provides employment advice and adult community learning, and brings together people who live and work in Darnall, Acres Hill and Attercliffe, a multi-faith and multicultural neighbourhood in Sheffield 9.